Worried about Poor Credit Score? Here’s How to Get the Personal Loan. Are big expenses popping up? Are emergency financial needs cropping up? Is your credit score shooting down? What is a poor credit? Often while applying for personal loans, or credit card, your loan provider would have asked you about the credit score. In simple words, the credit score is a measure of the financial health of a person, and it also illustrates the creditworthiness of the borrower. Based on it, the money lender decided whether you are eligible for the loan or not. 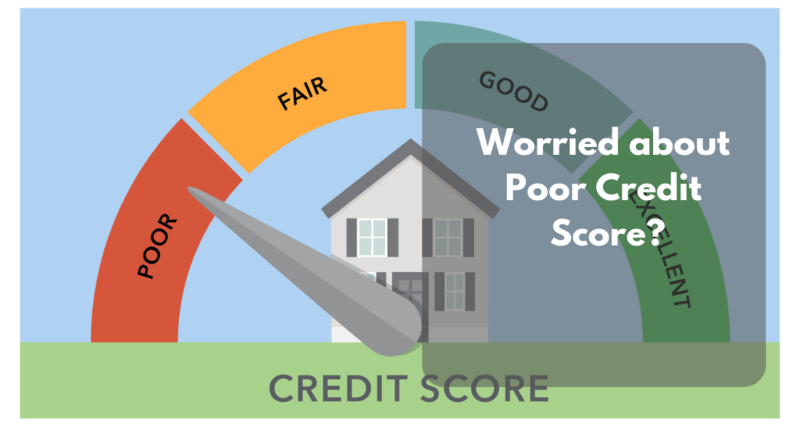 What leads to a poor credit score? Will, you not get a personal loan if you have bad credit? Well, the initial answer that any of the banks would give to this question would be yes. Since your credit score is the mark of your ability to repay the loan and banks adjudge your financial status based on this score, it would be difficult for someone to find a personal loan provider that provides loan with a poor credit score. However, there is a way out. The modern financial system has come as a boost to the conventional method, nowadays, many banking and financial institutions render personal loan to people with bad credit. However, they may charge a slightly higher interest rate. A ‘risk factor’ to keep in mind is that some of the lenders that specialize in bad credit loans do not belong to the group of reputable credit unions and banks. This implies you need to exercise utmost caution while choosing a lender, if you have a poor credit score. It is imperative that you select a lender with transparent fees/rates and also someone who is willing to adjust with your previous credit issues. But , at the same time, if you come across a lender that is more than willing and is hell-bent on providing a personal loan to you, come what may, better for you to sense danger! Beware of another group of lenders who are always on the lookout for people who are in need of a loan and have bad credit. They use scams and other unfair means to entice such people into pay exorbitantly high interest rates and, in turn, trap them in a vicious cycle of debt. Poor credit and no credit: Which one is worse? If you are deemed to have a poor or a bad credit score, it is a result of your poor credit history. It will convey to the creditors that you defaulted in your credit repayment at some point or other in the past or you are not good at managing your credit. On the other hand, having zero or no credit designates you as someone with no credit experience. Lenders/creditors have absolutely no way to know whether you have the capacity to repay a loan or whether they should trust you or not. Both the above are deterrents of getting your personal loan approved, however, having no credit is slightly better than having a poor credit score. A bad or poor credit score essentially conveys your bad track record in credit handling and it is a red flag for a potential creditor. Having a no credit is also deemed as a threat to a creditor, but of a lesser degree. The creditor has nothing in his hand to favor you, nothing to go against you as well. Recent immigrants, young or other people who have accrued expenses in the name of their siblings /family members usually go through this problem. Do keep in mind that no lender will explicitly tell you whether you are good with the credit or not. It's for you to understand the difference between having poor credit and having no credit and at what financial profile they leave you with. Then you can make your own strategies to overcome the associated drawbacks. None of having poor credit and having no credit is an ‘unconquerable’ issue. Loans that are available to people with a poor or bad credit score is often called as bad credit loan. It is a type of personal loan. The type of loans on bad credit may vary from bank to bank. Unsecured bad credit loan- Unsecured, as the word means, the borrower doesn’t need to keep anything as security or collateral with the bank. The borrower needs to sign the contract with the lender that he/she will be paying the personal loan on time and in case of failure to do so, the lender may collect money through a collection agency or can even opt for wage garnishment. Secured bad credit loan – This type of loans comes with security or collateral which the borrower needs to put at stake while applying for the loan. In case the borrower is unable to repay the loan for some reasons, the bank or the financial institution has the complete right to take over the collateral. The security or the collateral could be anything like car, house, property papers, jewellery, etc. The lender must offer personal installment loan- Try searching for a lender who offers personal installment loans with longer terms and lowers interest rates. Don’t rush for the payday loan. Considers your ability to repay- For any banking institution or financial service provider, the borrower’s ability to repay the loan is the most important factor while approving the loan. Try looking for a socially responsible lender, who first verifies your income and looks at your bank statement before approving the loan. Don’t fall prey to the blandishments that promise a lower interest rate, quick loan approval, etc. They will keep you trapped in the vicious cycle of additional cost, fees, and penalties thereby increasing your liability. Flexible terms and repayment- Try looking for lenders that offer personal installment loan with longer terms. The longer term means lower monthly payment thus it is easy on your pocket. Report your payments to the credit bureaus- This can prove advantageous for the borrowers with poor credit score. If you are repaying the personal loan on time and your lender provides this information to the credit bureau, then there are fair chances that your credit score will improve with this positive reporting and will also further aid you to get loan easily. And in case, if you apply for another personal loan in future, you may avail the personal loan on low interest rate. In the end – Many options in the market offer you a loan on low credit score, but an important point to consider while choosing any of the options is to cross-check them on parameters mentioned above. This will save you from the diabolical cycle of paying additional fees and charges on your loan.